Take a break from your holiday “See Food” Diet with… seafood! We know it’s easy to overindulge on elaborate, decadent dishes over the holidays, so why not take a break from your “See Food” diet with some actual seafood! No need to cross oceans in search of swimmingly excellent flavors (see what we did there?) because we have two light but satisfying options for even the most discerning seafood, AND “See Food” palate! Our Zima®, fish and wild mushroom Fricassee is so bright with flavor that you’ll feel as though you’re dining at the crossroads of Fisherman’s Wharf and your favorite garden! 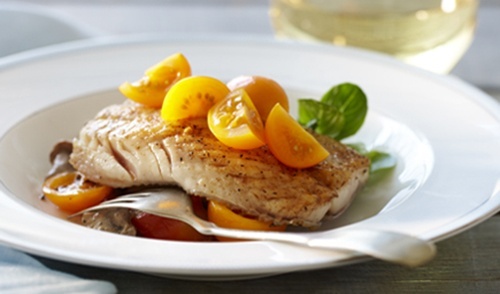 The sweetness of Zima® tomatoes paired with earthy wild mushrooms makes for most flavorful balance with the light but firm, seared whitefish. 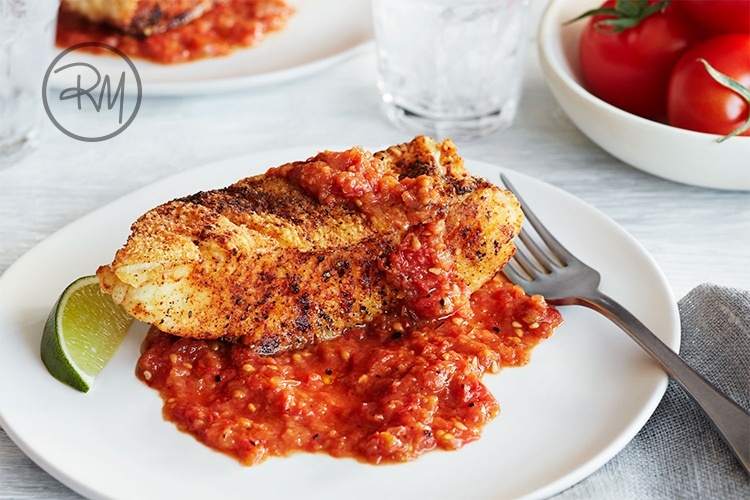 And if you’re craving something more fiery to ignite your taste buds, our Spicy Campari® Fried Halibut delivers intense heat from the Spicy Campari Sauce made with Thai chilies and Campari® tomatoes. A squeeze of lime with this flash-fried, spiced fish will perk you up and allow you to pace yourself before diving back into these final weeks of glorious, holiday gluttony!